In a data-driven economy, marketers look to customer engagement to improve their brand’s market share. 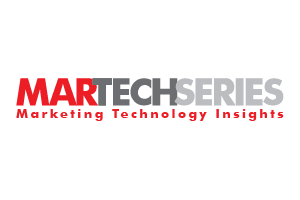 Marketing technology solutions figure prominently in modern customer engagement strategies, but it is imperative to secure quality data to conduct effective outreach. That requires marketers to collaborate closely with sales and customer support teams. Before launching a customer engagement campaign, marketers must integrate data that arrives from internal and external sources. This can be a challenge because data flows from multiple sources and may arrive in a range of formats. Clustered or inconsistent data must be cleaned up and integrated effectively before it is used, which requires advanced technology and the right strategic approach. Marketers who are looking for smart tools to advance B2B or B2C customer engagement campaigns should use a formula to assess available technologies: Decision Engineering + Advanced Analytics + Cutting-Edge Technology. Evaluating tools using this formula can ensure that marketing leaders choose a solution that helps them integrate data effectively, analyze it thoroughly and make the best possible business decisions. Decision Engineering: Marketers typically streamline data, then analyze it for insights to aid decision-making. A decision engineering approach turns that process on its head, identifying decision opportunities first, then conducting analysis and using technology to develop scalable, sustainable customer engagement campaigns. By using technology that can seamlessly integrate data and extract valuable insights from data lakes, marketers can become more data-driven, using online and offline data streams, and eliminating inconsistencies and anomalies to ensure data quality and relevance. The decision engineering approach lets marketers focus on goals instead of looking for objectives in data caches. Another advantage of the decision engineering approach is that it is future-focused, harnessing the power of predictive analytics rather than using only historical data. Instead of using models created from information in data warehouses, decision engineering lets marketers look to the future. Advanced Analytics: Smart algorithms and sophisticated analytics are a must-have in today’s marketing toolkit. With advanced analytics, marketers can increase customer engagement by segmenting customers based on their lifestyles rather than demographics. This allows marketers to target customers more efficiently and effectively. Using advanced analytics, marketers can engage customers through personalization, creating outreach based on data signals that provide clues to customer interests. Personalization based on advanced analytics enables marketers to respond to customer signals with highly targeted, relevant offers. With better decision-making tools, marketers are more likely to achieve their goals. Cutting-Edge Technology: Advanced technologies like artificial intelligence (AI) can help marketers take the friction out of interactions with the brand, which improves sales. Chatbots, for example, allow customers to interact with brands on their own timetable. The use of chatbots is mainstream thanks to the convenience they offer and widespread customer acceptance. Progressive’s “Flo” chatbot on Facebook Messenger is a great example of how chatbots can drive customer engagement. Using AI, the Flo chatbot generates quotes while interacting with customers in a conversational manner and reinforcing the brand image. B2B brands can also use AI technologies to their advantage, and many are starting to see the benefit of employing automation to provide basic information, which allows human employees to take on more strategic tasks. AI-powered technologies can personalize recommendations, allowing B2B and B2C companies to drive win rates higher as leads turn into customers. AI technologies that incorporate machine learning can improve performance over time, using existing data effectively and factoring in feedback to refine their approach. AI solutions that offer next-best actions and similar recommendations improve the customer experience. Shifts in customer demand can be hard to spot — for humans. But data signals can provide notice in advance that customer sentiment is changing, which can keep sales and marketing teams in the hunt if they respond accordingly. With the right technology solution, companies can become more adept at spotting subtle shifts in customer behavior and demand, responding in a way that resonates in the marketplace. A decision engineering approach backed up by advanced and analytics and cutting-edge technology helps marketers evolve their strategy as customer demand changes. Instead of sifting through data alone for clues to build a strategy, a decision engineering approach gives marketers the tools to personalize customer outreach, automate processes and shorten the sales cycle, enabling a data-driven, future-focused campaign.